The human body is a complex, perplexing, and magnificent system. As kids, our parents or elders told stories and fed ideas to make us understand, in all our innocence, our bodies and why they are that way. When we attended school, we were also taught a lot of ideas both from textbooks and insights of our teachers. Years later, we tend to carry the beliefs and ideas that were fed to us in our formative years. Your left or right side of the brain determines your personality. You must have heard that left-handed people are the artistic ones while right-handed individuals are the intellectuals. 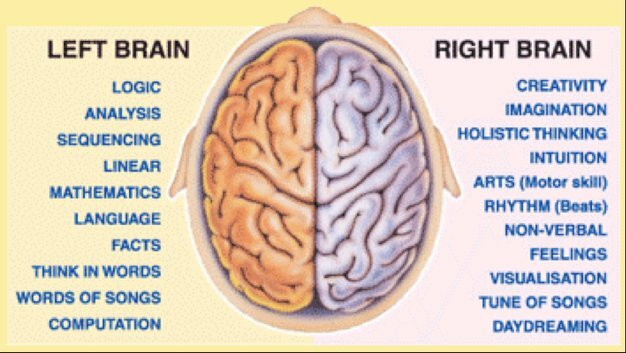 The reason given is that the functions of both left and right brain hemispheres crisscross, such that the right side of the brain controls the left side of the body while the left side of the brain takes care of the right side of the body. The truth is, the brain has specialized features that are in charge of certain functions. However, it does not have opposing clusters or compartments that separate the artistic from the highly intellectual. In language, for instance, learning words and grammar may be dictated by the left side of the brain. Nevertheless, learning intonation and inflection takes place on the right side. In other words, both regions should work together for you to be good at languages. Who could have argued with the great Aristotle when he declared that human beings have five senses? We learned in school that we have our sight, smell, hearing, touch, and taste. And that is why someone who is said to have a sixth sense is called a ‘psychic,’ or so did television series tell us. The truth is, all of us have more than five senses. Up to now, scientists have not figured out and concluded the exact number of senses that we have. However, some scientists believe we have at least twelve. Also, no one really knows what the parameters are when we speak of senses. What is true is that the five senses that we are aware of are the ones that are the most manifested. Interestingly, neurologist David Eagleman believes that our sense of timing is one—if not the most important—of all the senses. He explains that through timing, we’re able to know how and when to react appropriately to situations. For instance, we know how to behave when we encounter a barking dog in the street, which you see and hear. Your tongue and the distribution of your taste buds. We learned from school that our tongue has a floor map that designates where each basic taste is located. For example, the tip of the tongue to taste sweetness, the back for bitterness, the sides toward the front for saltiness, and the sides toward the back for sourness. Blame it on the misinterpretation of a Harvard academic! They made the mistake of forming a different interpretation of an earlier German survey that seemed to indicate that the volunteers tasted different flavors in separate areas of the tongue. The truth is that our tongue can detect tastes in any of its ‘regions.’ Every tongue has different patterns of strength and weakness – your tongue’s floor map is like your mouth’s fingerprint. Our tongue maps identify various tastes through the taste bud or taste receptors, and at times from the same dish. That is why people have different tolerance and preferences when it comes to food and drinks. Finally, what we taste goes as far down as our throat and our stomach. This explains why we experience the makings of a bad digestion or an impending acid reflux whenever we take in something unpleasant. Blue is the color of the blood and the vessels without oxygen. It may be hard to dispute the belief that there are blue veins evident on fair-skinned people and that these veins are blood without oxygen. The explanation given is that oxygenated blood is red and deoxygenated blood turns blue. But this is not as simple as that. The truth is, “blue” blood vessels do in fact carry blood without oxygen, but their color is far from blue. Such vessels appear that way because they are close to the skin surface and light reflects off the skin area that makes them appear blue. However, deoxygenated blood vessel and the blood in them are not blue at all. They are, in fact, dark red in color. Your being fat or thin is due to your metabolism. You may have heard the advice that people who are thin and stay thin have higher metabolism while those who can’t seem to keep the pounds off have a less than active metabolic process. 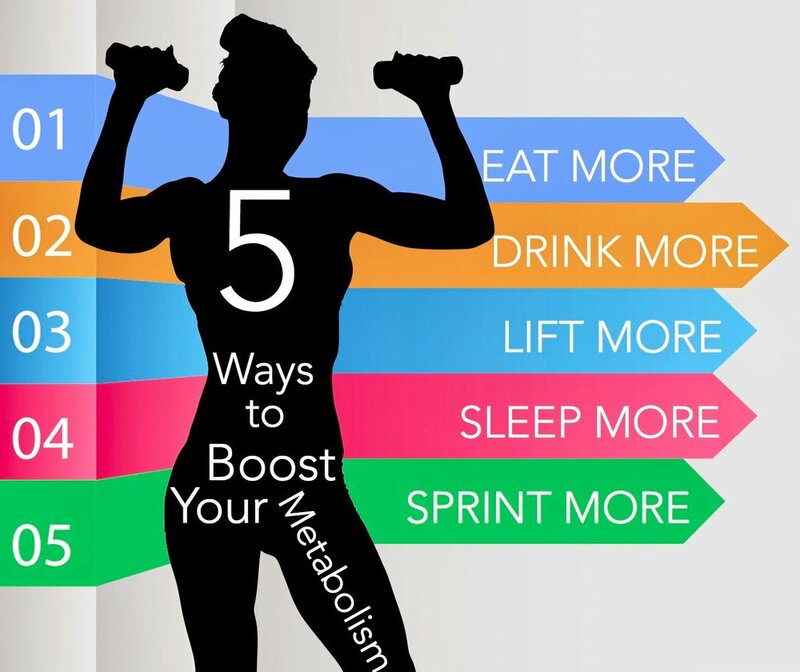 Our metabolism is responsible for turning the food that we eat to energy. The truth is, metabolism is not to blame for your situation. If you’re serious in your weight issue, start counting your calorie intake and usage and do your best to stick to your exercise routine and diet. Some scientists declare that there’s no significant difference in the metabolism of thin versus obese people. In fact, research has found that thin people tend to have a much slower metabolism than overweight individuals. Your head releases most of your body heat. Most mothers must have advised their children not to go out without a hat because they would lose their body heat if they left their heads uncovered. The myth originated perhaps in the ‘50s when the U.S. Army tested how efficient their Arctic survival gear was by having their men don the suits and stay out in the cold to measure how much body heat was lost. The problem was, the troops tried on the gear without any hat. In conclusion, the Army declared and spread the word that people lose 40-45% of body heat through their head. Scientists have debunked this finding and clarified that we lose no more than ten percent of our body heat through our head. Don’t rely so much on what you read or what you are taught. Have a thirst to learn more and do your research to separate what is true from what isn’t.